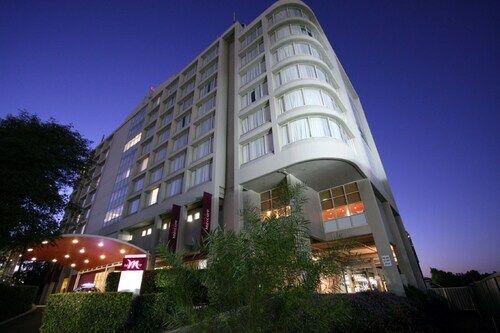 Situated in the business district, this hotel is within 1 mi (2 km) of Rosehill Gardens Racecourse, University of Western Sydney Parramatta Campus, and Sydney Speedway. 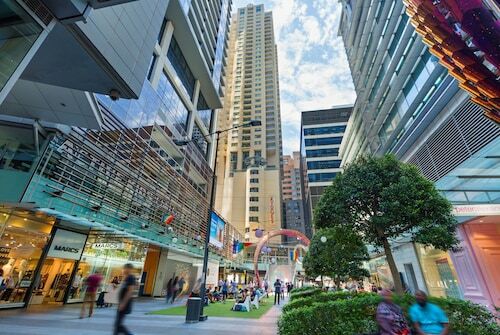 Westfield Parramatta Shopping Centre and Riverside Theatres are also within 2 mi (3 km). Sydney Rosehill Station is only a 2-minute walk and Sydney Camellia Station is 11 minutes. 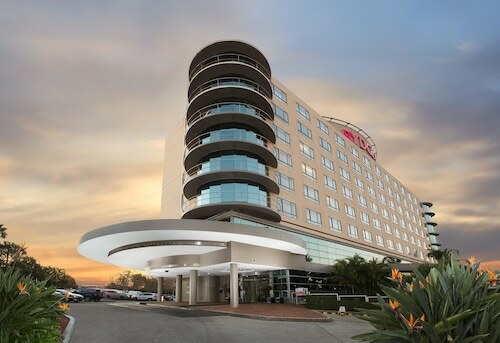 Next to Rosehill Gardens Racecourse, this hotel is within 1 km (about 0.5 mi) of Parramatta city centre and 1.6 km (1 mi) from Westfield Parramatta Shopping Centre. Situated in Rosehill, this hotel is within 2 mi (3 km) of Rosehill Gardens Racecourse, University of Western Sydney Parramatta Campus, and Parramatta Park. Westfield Parramatta Shopping Centre and Parramatta Stadium are also within 3 mi (5 km). Sydney Rosehill Station is only a 3-minute walk and Sydney Camellia Station is 12 minutes. Situated in the business district, this apartment building is within 2 mi (3 km) of Rosehill Gardens Racecourse, University of Western Sydney Parramatta Campus, and Parramatta Park. Westfield Parramatta Shopping Centre and Parramatta Stadium are also within 2 mi (3 km). Sydney Rosehill Station is 7 minutes by foot and Sydney Camellia Station is 8 minutes. Positioned 17 kilometres to the west of the city centre of Sydney, the capital of the state of New South Wales, visitors can reach the neighbourhood of Rosehill. Are you on the hunt for major attractions such as the Sydney Opera House, Bondi Beach and Sydney Harbour Bridge? You'll find plenty in Sydney. When it's time for a tipple, spend an afternoon at Grosset Wines. Here, you can sample and purchase some top-notch local vinos. Book a room at the Rydges Parramatta and Waldorf Parramatta Apartment Hotel to be nearby. Watch students and faculty alike move from one class to another at University of Western Sydney Parramatta Campus, a popular academic institution. The Novotel Sydney Parramatta and APX Parramatta are your top options for this spot. Seeking a higher-end Rosehill room? Have a gander at the Mercure Sydney Parramatta. Drag yourself out of bed and treat yourself to a hot cup of coffee at Circa Espresso. This well-loved Rosehill cafe will guarantee your morning starts off on the right foot. When you start craving a heartier meal, Courtney's Brasserie is where you ought to go. Whether you're eating solo or with a partner, this popular eatery will be sure to impress. If you and your family cannot book the right Rosehill hotel, it is worth checking out the accommodations in Auburn and Parramatta. So it's finally time to make your dreams of Rosehill a reality? Wotif has your back, from flights and accommodations to car hire and activities. How Much is a Hotel Room in Rosehill? Hotels in Rosehill start at AU$99 per night. Prices and availability subject to change. Additional terms may apply. The room was clean well laid out and spacious. It unusual for a hotel of this type not to have a pool. The hot breakfast buffet at $28 does not include barista coffee it only includes the cheap instant coffee. Better to go across the road and to Machiato and buy your breakfast and coffee their better value and better taste.